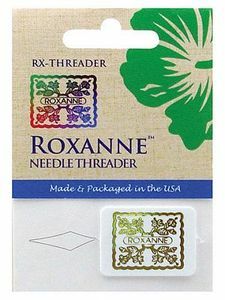 This threader boasts the finest metal wand on the market enabling it to easily thread those tiny sized 12 needles. The metal wand is fine but strong and is heat set as well as crimped into its credit card-thin holder for longer life. Beautifully gold embossed with the Roxanne logo.